The Australian exhibition at the 2010 Venice Biennale, open these past three months and closing in just 3 days. Curated by the well-known architectural photographer, John Gollings, together with architect, Ivan Rijavec, it comprises two spaces of stereoscopic projections accompanied by a haunting soundtrack by Nick Murray and Carl Anderson. The first space, Now, contains nighttime aerial photography by Gollings, of Melbourne, Sydney and the Gold Coast, interspersed with daytime aerial photography of West Australian opencut mines, Kalgoorlie and Newman. 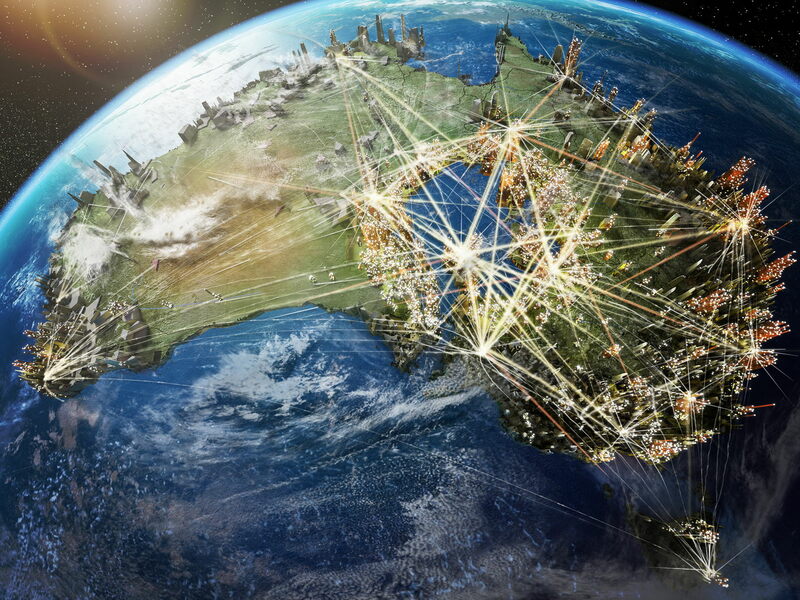 The second, When, contains a sequence (designed, directed and assembled by Floodslicer) of possible Australian futures proposed by 17 Australian architectural studios including the likes of John Wardle Architects, Brit Andresen, BKK Architects and Edmond & Corrigan. Since we were already over in Italy, we volunteered to assist at the Australian Pavilion, manning the front door, counting visitors and selling catalogues for a week in late September / early October. Thus we had ample opportunity to study the Australian proposals as well as offerings from other countries spanning the globe. With the closing ceremony of the Biennale just around the corner, we felt the time was right to contribute our thoughts to the general discourse. To begin with, we can confidently state that the Australian Pavilion was one of the most engaging, beautiful and technologically advanced at the Biennale this year. 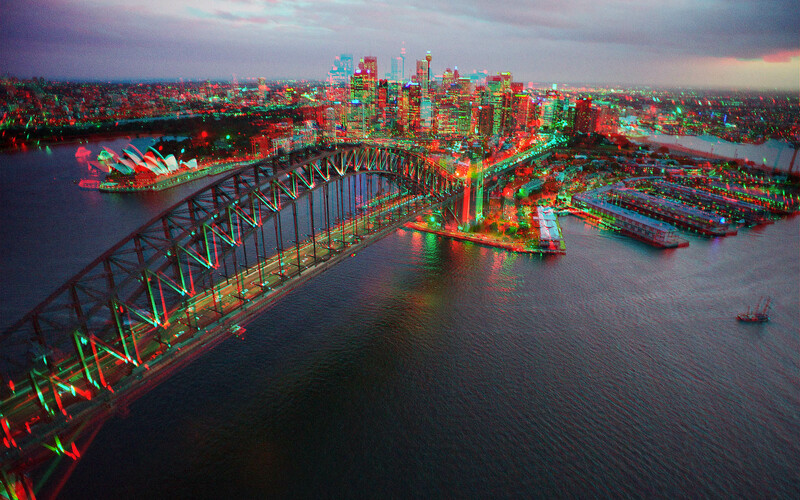 Its use of stereoscopic imagery was a masterstroke, capturing the excitement of the increasing availability of, and contention surrounding, 3D feature films. Gollings’ essay included in the exhibition catalogue, Aerial Photography in 3D, is a must-read, describing with fascinating clarity the troubles he experienced in going from the idea of stereoscopic photography to its unexpectedly difficult execution. But the exhibition surpassed the gimmick of its technology, succeeding in not only establishing a datum of the current urban condition in Australia, courtesy of Gollings’ mesmerising photography, but in also crystallising a surprising uniformity in the concerns contemporary Australian architects have for our country’s future. Themes of water management, population growth, housing availability, identity and general ecological devastation recurred across each of the 17 proposals. Terra Form Australis by HASSELL, Holopoint and The Environment Institute would likely draw strong (and valid) objections from environmentalists and aboriginal landholders, but its central idea of flooding Lake Eyre and creating a second, internal, ring of cities recognises the inherent limitations of modernising Australia’s pre-industrial cities and offers a tangibly exciting opportunity to start afresh. 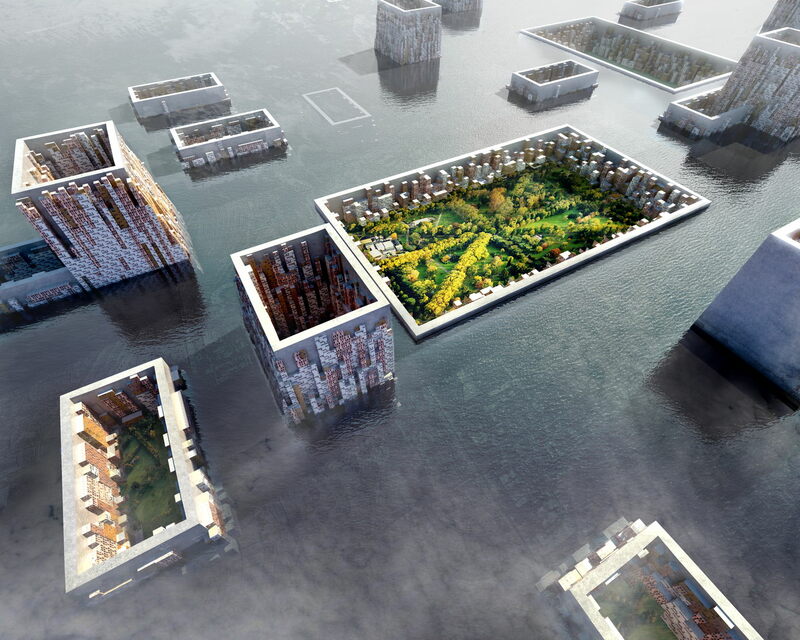 Saturation City by McGauran Giannini Soon, Bild + Dyksors and Material Thinking comprises a series of semi-independent ideas dealing with rising sea levels. Brilliantly utilising the video format, one’s view starts from ground level, amongst the trees surrounding Melbourne’s Shrine of Remembrance, only to rise up into the air over a flooded world, where valuable monuments like the Shrine are protected from the waters by gallery-like dam walls. Further afield, organic-looking agglomorations turn out to be entire suburb-worths of stacked detached housing. 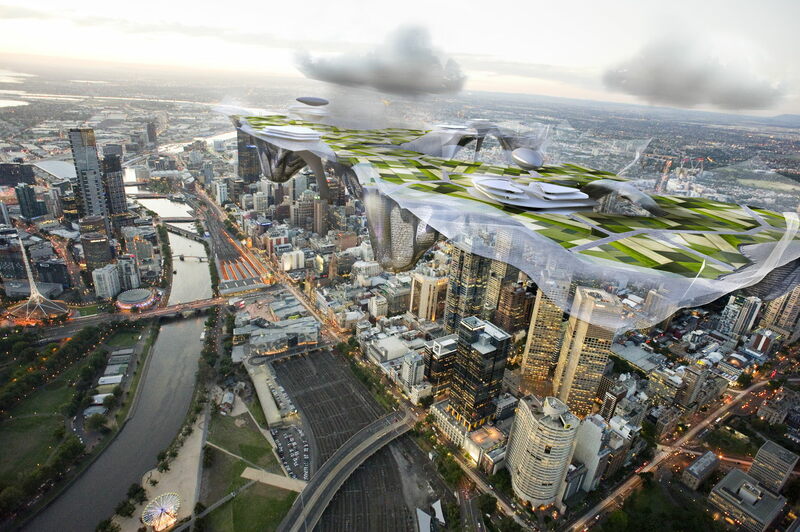 Multiplicity by John Wardle Architects extends Wardle’s well-understood formal language into a thorough rethinking of Melbourne’s urban planning, extending from underground transport links, through a car-free ground plane and up into airborne, undulating superstructures that remind us of the Relical from Aeon Flux, housing new farmland, waterways and inhabitation. Whilst its connection to the Biennale theme proposed by japanese architect and Biennale curator, Kazuyo Sejima, People Meet in Architecture, was at best tenuous, the Australian Pavilion was nevertheless successful, confirming Australia as a country with a powerful and diverse creative identity. The three proposals described above are but a limited sample of what’s on offer at the pavilion. All of the proposals realise strongly-considered, well-designed and immaculately rendered ways of addressing the problems of our future. They speak with voices that are simultaneously individual and collective, shaping Australia as a country with an uncertain future it’s true, but also as a country possessing the creative minds to tackle any problem that arises along with many that never will. Working for a week at the front door of the pavilion, we were proud to be architects and proud to be Australian.